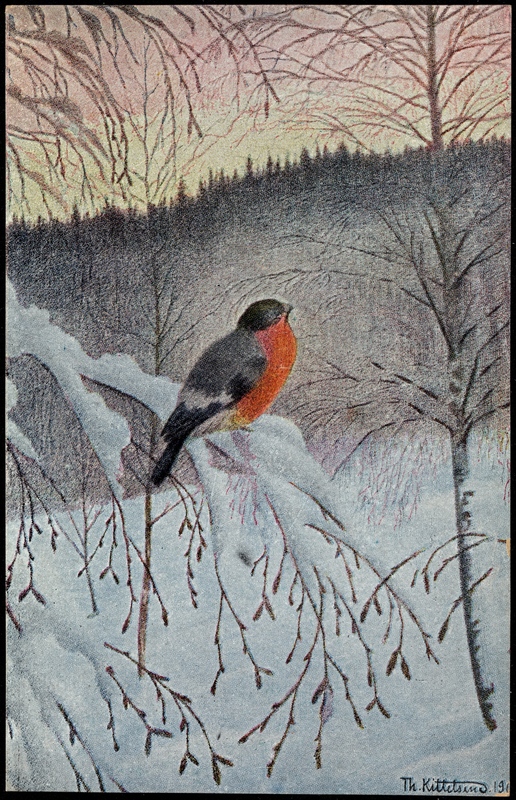 Thanks to the generosity of the National Library of Norway, everyone can enjoy this postcard that was published in the early 1900s. And, since they provided several sizes of this winter bird landscape, I thought I would offer two sizes here on ReusableArt.com too. Just click on the picture you see in this post to be taken to the larger version.